Firstly, last weekend I went to yet another sewing class at Sew Over It where I learned to do freehand machine embroidery, on Tuesday I was very lucky to attend the launch party for Holly Becker's new book 'Decorate Workshop' at Anthropologie on Regents Street with special guests Will from Bright.Bazaar blog and stylist James Leyland Day , then yesterday I headed up to Manchester to attend The Paper Girls stationery business workshop with Abby Warner and Lucy Ledger where I learnt whole wealth of very useful information regarding setting up and running my new stationery business. 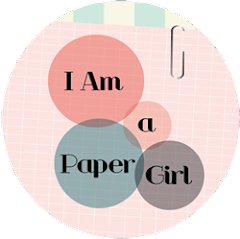 I've also just taken on 3 new logo jobs for 3 lovely clients which I am very excited about. Hi Mel, yes it was great and there were quite a few of us BYWers. Really good to put names to faces. Loving the personalised doily, what a cute idea, I'm having a bit of a 'thing' about doilies at the moment! Yes, very simple but so sweet. got to love doilies! 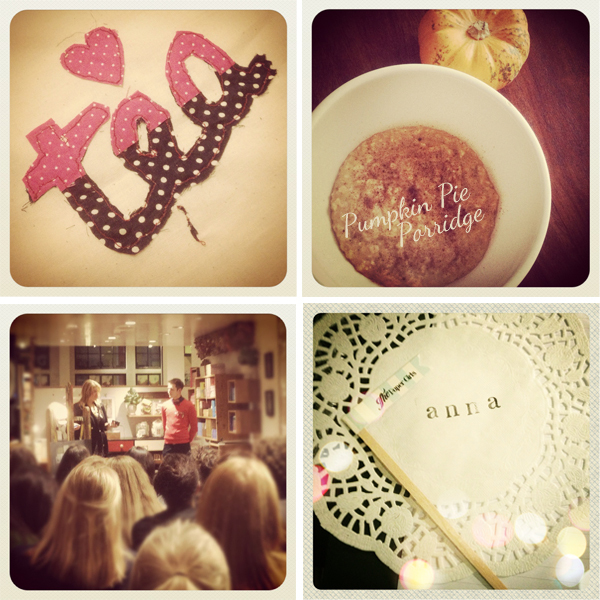 O you went to Holly's booklaunch! How cool. I wish I were living a little closer but well, flying to London just for a bookreview seems a bit excessive.. ;) Sounds like you had a fun week indeed! 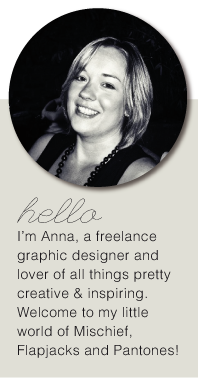 Hi Anna- lets see if it works this time :-) My head was spinning just reading all of that!